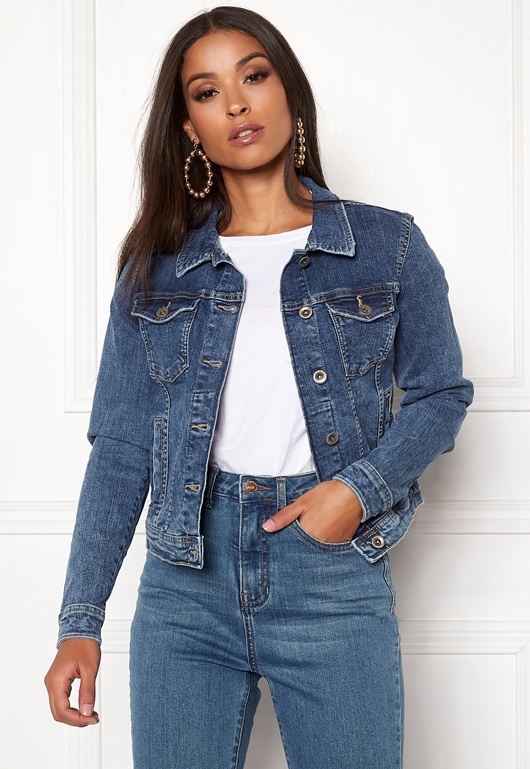 Lovely denim jacket from ONLY. 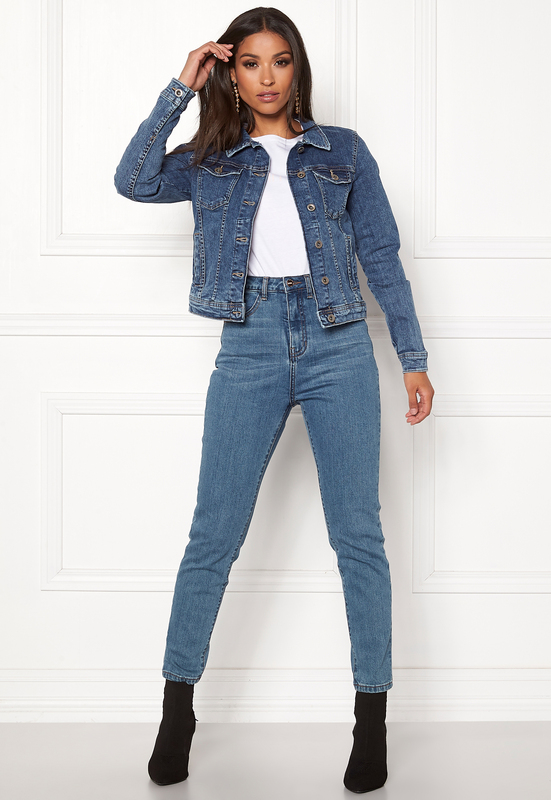 The jacket has a classic style and can be worn either with pants, a dress or skirt. - Nonstretch quality - Buttoned front closure - Two chest pockets - Two front pockets - Buttoned cuffs Back length from shoulder 48 cm in size 36. The model is 172 cm tall and wears a size 36. Machine wash at 40 degrees.